Here's the first undisguised look at Hyundai's all-new midsize crossover. 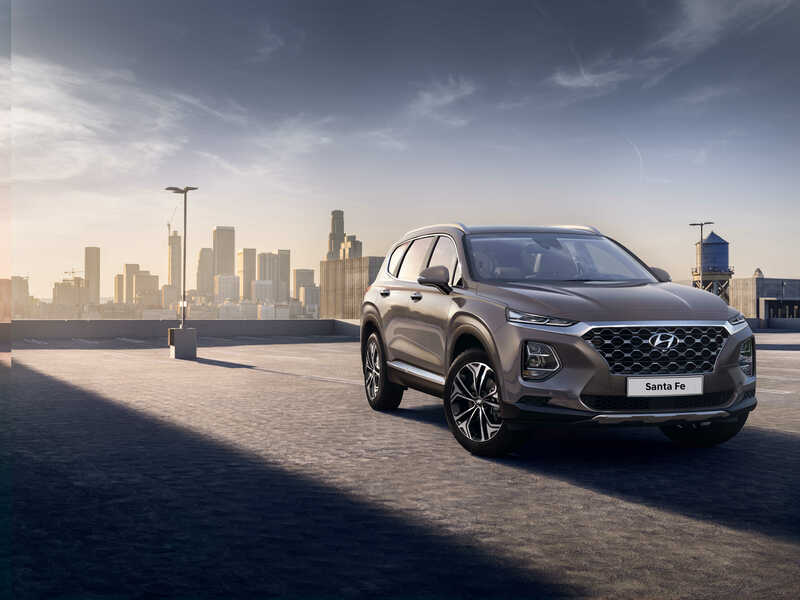 After releasing a dimly-lit teaser last week, Hyundai has released the first undisguised pictures of its redesigned 2019 Santa Fe. As we anticipated, the new midsize crossover features your typical midsize crossover dimensions with a decidedly Hyundai-ish flair. While its high-and-squinty headlamps remind us of the pre-facelift Jeep Cherokee, the chrome piece that runs under and between them make the Santa Fe's face much less polarizing than the outgoing Jeep's. Incorporated under the chrome-stache is a vase-shaped, chicken wire corporate grille also seen on the recently rehauled Veloster. The Santa Fe's safe, reasonably attractive theme continues on the inside. Hyundai looks to have taken inspiration from Mazda's latest crossover cockpit design and the result is predictably nice. 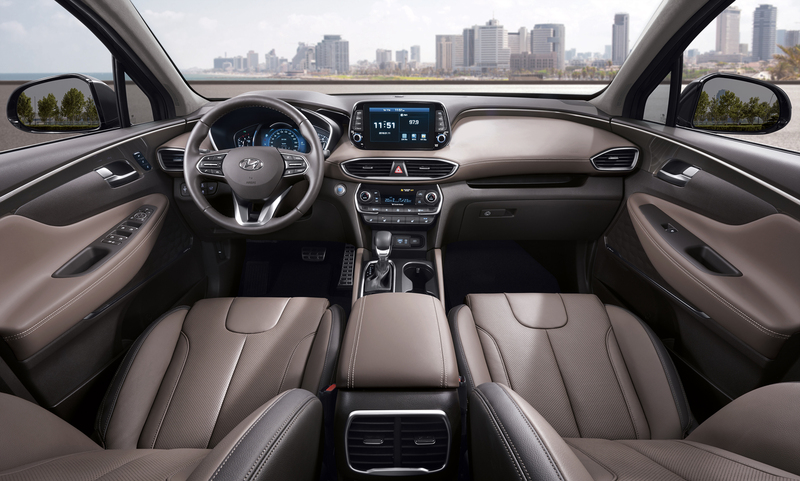 While there's nothing here we'd go out of our way to write home about, the Hyundai's cabin looks like a sufficiently pleasant and spacious place to spend time. Emphasis on spacious as the company is claiming "class-leading roominess." Also claimed to be best-in-class is the bevy of active safety features Hyundai's thrown at this thing. The Santa Fe will feature a new Rear Occupant Alert, updated Rear Cross Traffic Alert that automatically brakes in emergency situations, and a Safety Exit Assist that temporarily locks the doors if it detects another vehicle approaching too close. In an email to The Drive, a Hyundai spokesperson confirmed that Safety Exit Assist will indeed detect bicycles, to the relief of door-phobic bike messengers everywhere. The 2019 Hyundai Santa Fe will be on display at the Geneva Motor Show in March. Hyundai will commercialize self-driving cars for 'smart cities' by 2021. The hot rod version of the Korean hatchback stars in this new superhero flick.